And in his little backpack there was a poem about serving others. (That my mom and I could not seem to remember) but it had to do with serving as a surprise for others. 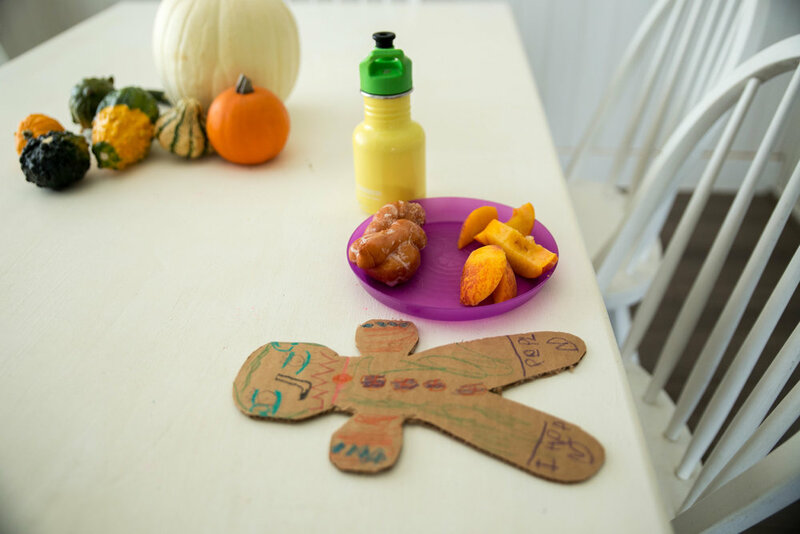 We were instructed to do kind things for one another and after we had done our good deed to leave the gingerbread man there so whoever the recipient was would know that they had been sneakily served. If you found you had been served then it was your turn next to give to someone else in the family. Pretty much it was a game of service tag with a gingerbread man. Lately we've been focusing on serving in different ways in our community, which has been wonderful, but I wanted to bring the focus into our home because what does it matter if you're serving others out in the world, but neglecting and ignoring those who are closest to you? 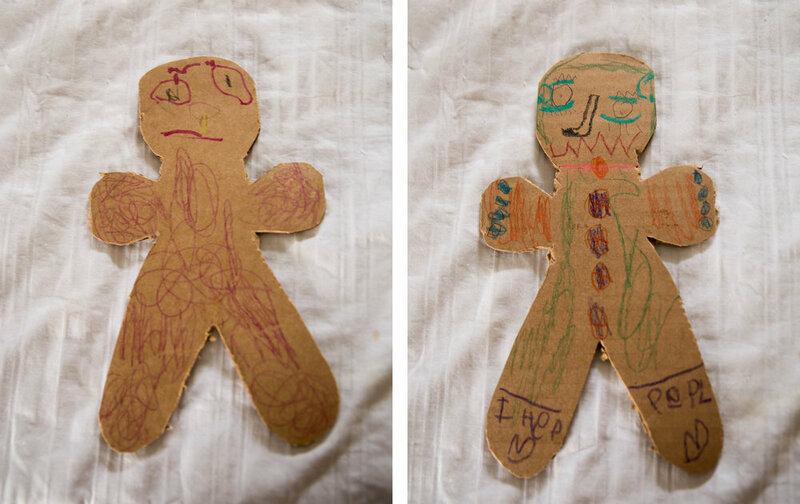 So we made our own gingerbread man. We are less crafty than my mom so we cut it out of cardboard and let the girls each decorate a side. Sometimes I'm sneaky, help, then run! 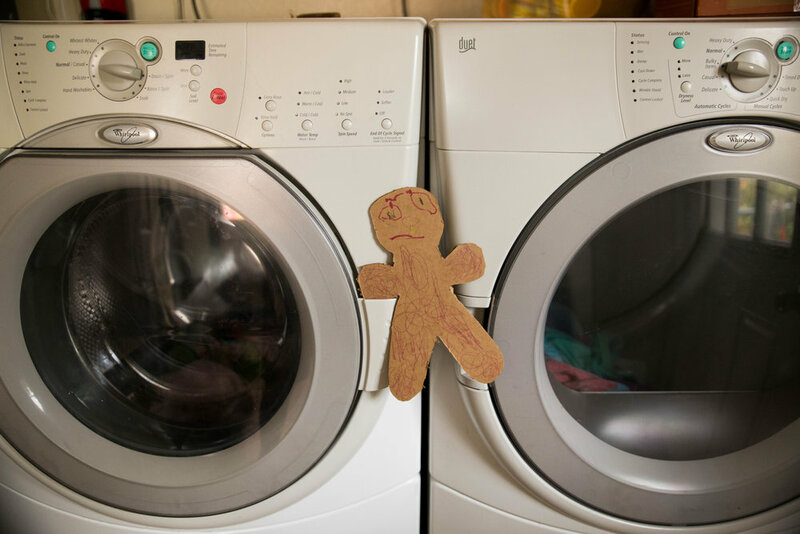 But you can't catch me, I'm the gingerbread man! It is simple and easy and makes a happy little merry-go-round of service in our family. The better we take care of each other, the more we can help change the world. Simple Service: Pledge to help a school reach its Box Tops goal!